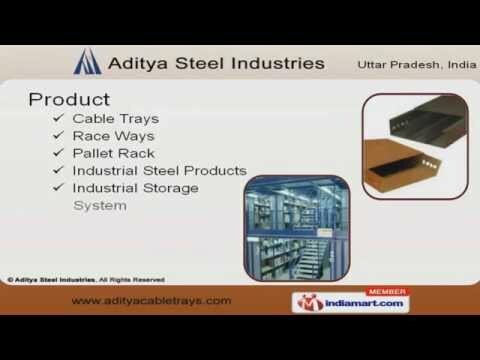 Welcome to Aditya Steel IndustriesManufacturer & Supplier of Industrial Storage Systems & Steel ProductsThe company was established in the year 2009 at Ghaziabad. We follow IS, NES & NEMA standards &cater to clientele like TVS, Omax & Oxford. We are well known in the market for our customized solutions, experienced workforce & timely deliveryschedules. Our product list includes Cable Trays, Race Ways, Pallet Racks & Industrial Steel Products. We provide premium grade Powder Coated, Hot Dip Galvanized & Ladder Type Cable Trays. Along with that we offer Horizontal Elbows & Reducer Raceways. Our Pallet racks are widely acclaimed in the industry. We are specialized in manufacturing Industrial Steel Products. Industrial Storage Systems are some of our best selling products.